Elbow Support is worn to give support and protection from undue forces that occur in everyday sport and activity. 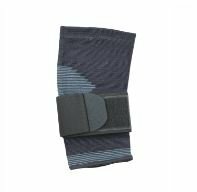 The strap gives “counter-force” onto the outer side of the elbow. 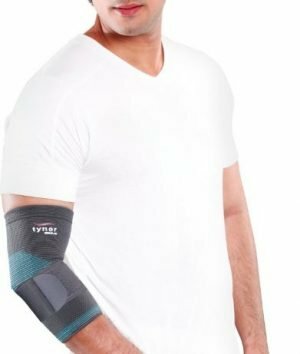 Elbow Support is given in cases of unstable ligaments, sprained elbows, tendinitis or tennis elbow by providing temporary relief of pain. 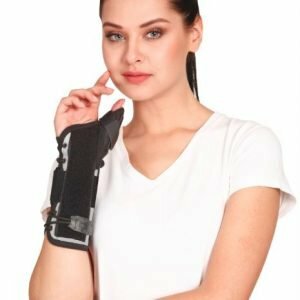 Elbow Support is widely used in orthopedic practice to provide firm compression, warmth & support to the forearm and the elbow joint, to allay pain inflammation and stiffness, generally associated with old age, arthritis, sports injury etc. Anatomically shaped with mellowed elbow portion for better compression, grip and easy elbow movement. 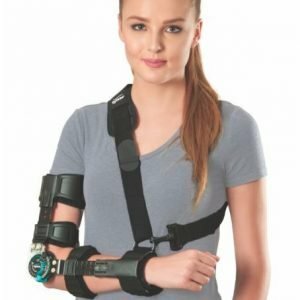 Perfect conformance to the complex anatomy of elbow improves comfort. Bi-layered, cotton on the inside, a dermophillic interphase improves sweat absorption, comfort, and compliance. Bi-layered, nylon on the outside ensures durability, improves aesthetics and colorfastness. 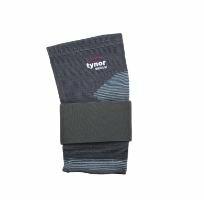 Two layered with interwoven airspace, retains body heat effectively, speeds up healing and allays pain.